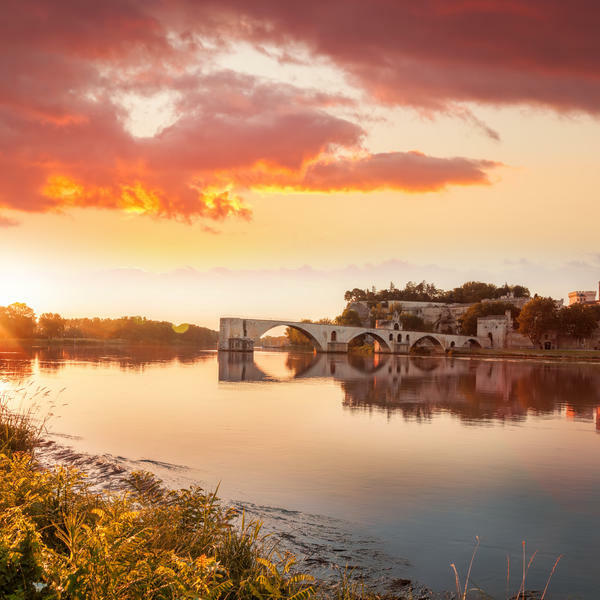 For those with a taste for the finer things in life, the River Rhône and its surrounds has it all: wonderful food, a superb wine-making tradition, spellbinding scenery and a cultural depth to match. A visit to the region is a treat at any time, but this superb river cruise, which sets sail from the gastronomic heart of France in Lyon is particularly special - as befits this inaugural tour. As well as all the sights, sounds and flavours of this magnificent part of the world, from Burgundy to the ancient city of Arles, you will enjoy a guest appearance from Prue Leith, a woman whose life has been dedicated to the art of great food: as restaurateur, chef, caterer, presenter, broadcaster, businesswoman, journalist, cookery writer and novelist. She will regale you with anecdotes from her incredible career, and join you for drinks and dinner, a book signing and a wine-tasting trip to Beaune. This tantalising journey, exclusive to our readers, promises to be one to remember. 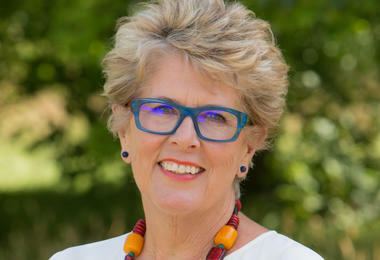 Hear stories from one of the most fascinating personalities of the culinary world, Prue Leith, as she shares some of her best tips & tricks. 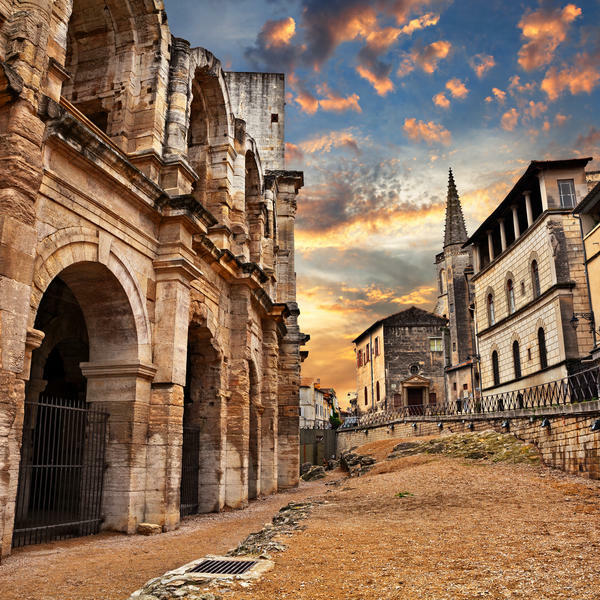 Experience Burgundy and the Rhône Valley, the Roman city of Vienne, sun-drenched vineyards of Beaune, Ardèche Gorges and Provence. The innovative, five-star MS William Shakespeare is luxuriously carpeted and decorated with elegant hardwood furnishings. 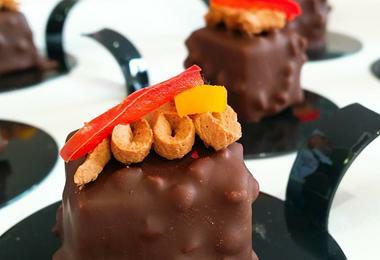 Enjoy trips to Beaune, the wine capital of Burgundy, Vienne and Tournon - and sample the area's diverse flavours. Cruise through the most picturesque stretch of the Rhône, past Condrieu, Saint-Rambert-d’Albon and Saint-Vallier. Watch a cooking demonstration by Prue, followed by a book-signing of her latest cookbook, 'Prue: My all-time favourite recipes'. Chef, restaurateur, TV presenter, businesswoman, journalist, food writer and novelist, Prue Leith, CBD DL, was a judge on BBC Two's Great British Menu for eleven years, before joining The Great British Bake Off in March 2017, replacing Mary Berry. Hear stories from one of the most fascinating personalities of the culinary world, Prue Leith, on this very special voyage through the culinary heart of France. She will be on hand to answer your questions - from perfecting French classics to being a judge on Bake Off. "I’m much looking forward to joining Good Housekeeping readers on a river cruise through my favourite bit of France. For me it’s the absolute culinary heart of France (and has some of the best wines too) and we’re sure to eat, drink and I hope be very merry as we drift slowly through the glorious Rhône Valley. I’ll share some of the best tips and tricks I’ve learnt over the years, and join fellow travellers on a great wine tasting, as well as answer your questions, about food, novels, writing, telly-presenting and anything else I can. It promises to be a journey to remember." * Based on flying from London Gatwick with two people sharing entry level cabin. Sole occupancy cabins available on request at a supplement. A limited number of lower deck sole occupancy cabins available without supplement (subject to availability). Arrive for your flight to Lyon, Marseille or Montpellier, or take the Eurostar from London St Pancras International to Paris Gare du Nord, where you will be met by a guide and escorted on a coach transfer to Gare de Lyon to board a high-speed TGV to Lyon. On arrival we transfer by coach to our ship moored in Lyon's historic centre. The dedicated English-speaking crew will welcome you on board and help you to your cabin. After settling in to your spacious and tastefully furnished accommodation, there's time to familiarise yourself with this five-star floating hotel. After our first splendid breakfast, we've a leisurely start enjoying a guided tour of Lyon, one of France's most fascinating cities. 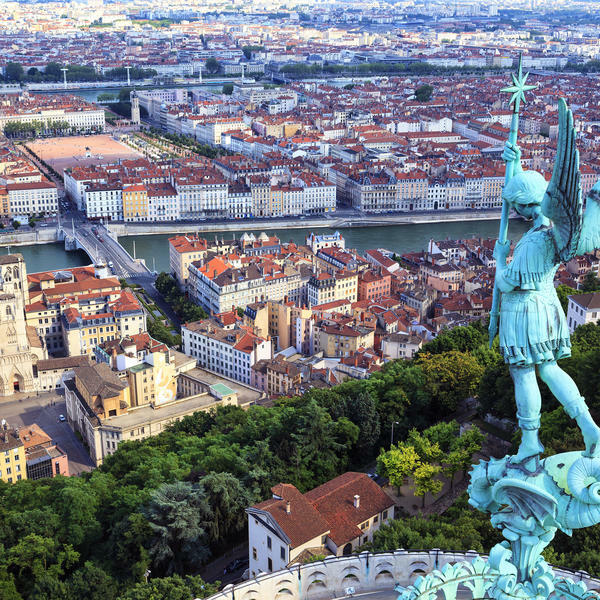 The Rhône Valley had been the route of choice for marauding armies and peaceful traders for centuries, and Lyon's current site, at the confluence of the Rhône and Saône Rivers, cried out to be fortified. In 43 BC the Romans founded the city, which subsequently grew in importance; the Emperor Claudius, conqueror of Britain, was born here. There are many Roman remains to see, but it was the production of silk that brought Lyon to prominence during the Middle Ages, and throughout the city you can see signs of the wealth that poured in - Renaissance buildings, imposing churches and Europe's largest pedestrian square, Place Bellecour, with a statue of Louis XIV as its focus. The Old Town, a UNESCO World Heritage Site, is crammed with antique shops and intriguing traboules - narrow covered passageways enabling silk merchants to transport their wares to the river without getting wet - that today are a joy to amble through. 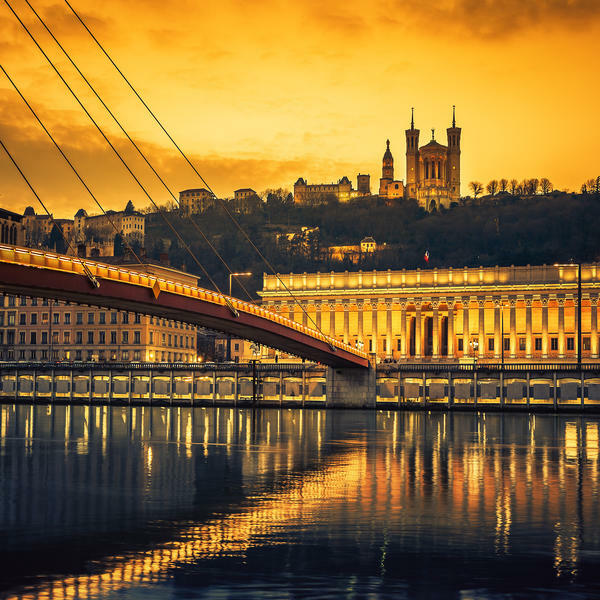 As well as its glorious architecture, Lyon is generally acknowledged as France's (and to locals the world's) gastronomic capital. In fairness it has much to commend it: nouvelle cuisine was invented near here and the city boasts a huge array of speciality food shops and eateries, including 20 restaurants with one or more Michelin stars and countless little places to eat. While you enjoy your first lunch the ship quietly slips its mooring. Cruising upstream, we catch the first glimpses of the vine-clad slopes of the hazy green Beaujolais hills as we approach one of the world's most revered red-wine-producing regions. On our left we see the picturesque villages of Morgon, Fleury, Juliénas, Chénas and many more, while on the right you may be lucky enough to catch a glimpse of snow-capped Mont Blanc - Western Europe's highest mountain. 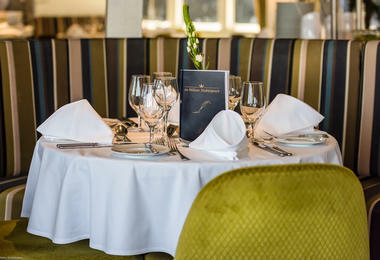 As the afternoon drifts into evening and we cruise past the town that gives them their name, the white wines of Mâcon hold sway - and what could be better than a cool, crisp glass in the lounge before enjoying this evening's culinary delights in the restaurant, prepared by our outstanding chef. Rising this morning we're berthed in Chalon, gateway to Burgundy and home of Nicéphore Niépce, the inventor of photography. On this morning's tour we see some of the pretty yet surprisingly small villages that produce some of the world's most sublime wines - Meursault, Volnay, Pommard, Gevrey-Chambertin and many more. Nearby is medieval Beaune, Burgundy's wine capital, which is wonderful to wander around. 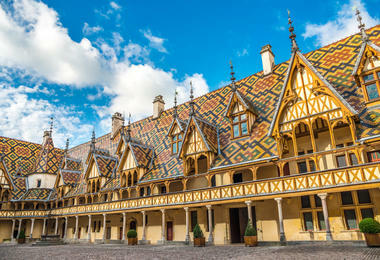 At its centre is the Hospices de Beaune, also known as the Hôtel-Dieu. Originally built in the 15th century as a hospital for the disadvantaged, it's a jewel of High Gothic architecture, instantly recognisable for its colourful glazed roof tiles arranged in dazzling geometric patterns. A prestigious annual wine auction takes place here each November, with proceeds going to benefit the Hospices and its charity work. 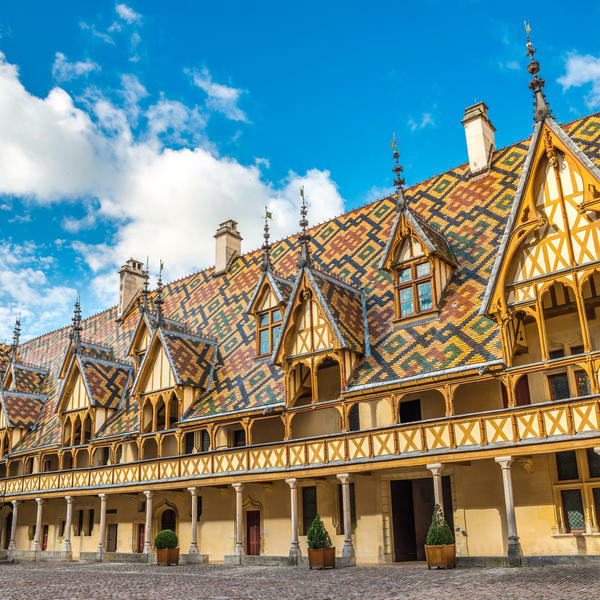 Of course you can't visit Burgundy without sampling its amazing wines, so we visit the cellars of a leading traditional winemaker for a tour and tasting before returning to the ship for lunch. 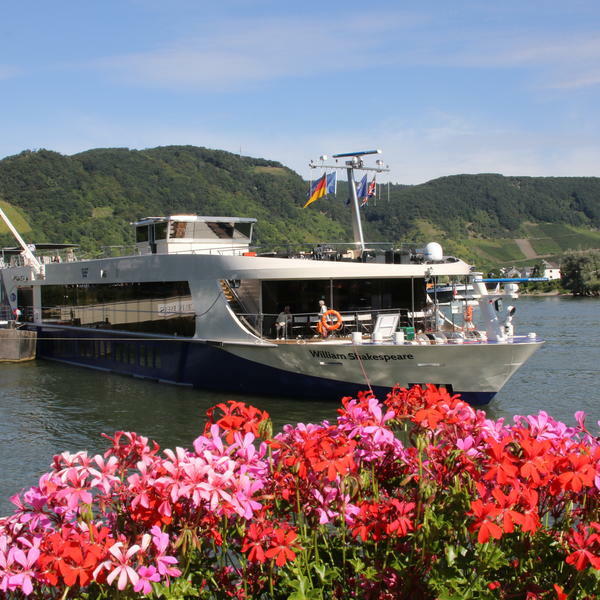 One of river cruising's great pleasures is waking in a different place to the one you fell asleep in. Overnight the ship has cruised almost imperceptibly downstream and we enjoy breakfast in Vienne, first a Celtic settlement, then a Roman stronghold under Julius Caesar. Strikingly located in a narrow section of the Rhône where the river meanders dramatically around a steep bluff, Vienne is a treasure trove of historic remains, including the stunning Roman Temple of Augustus and Livia, and a walk around its streets really brings its heritage to life. During another superb lunch, we enter perhaps the most picturesque section of the Rhône as the river squeezes and twists past Condrieu, Saint-Rambert-d'Albon and Saint-Vallier, with wooded cliffs rising high on both sides. Traditionally these stretches were the most dangerous due to fierce currents and varying water levels but, with the waters now tamed by a series of locks whose complex mechanisms never cease to fascinate, this afternoon can be spent relaxing on the Sun Deck taking in the exceptional views. Later we moor in the pretty provincial town of Tournon, with its imposing castle and tree-lined avenues on one side of the river, while on the other are the steep vine-covered hillsides of Hermitage, where another of the world's most revered wines is produced - a fitting view as we enjoy another exquisite dinner. This morning we cruise effortlessly downstream. In the distance you'll catch glimpses of the Alps and, as we approach Valence, the landscape gradually becomes less green with more ochres and magentas, the houses have sloping terracotta roofs typical of the Mediterranean and the air carries heady aromas of pine and cypress. You can only be in the Midi or - as we call it - the south of France. It's so relaxing to catch up on some reading or just laze in the sun. After lunch we explore one of France's most outstanding landscapes - the Ardèche Gorges, whose scale is a fitting reminder of Mother Nature's awesome power. 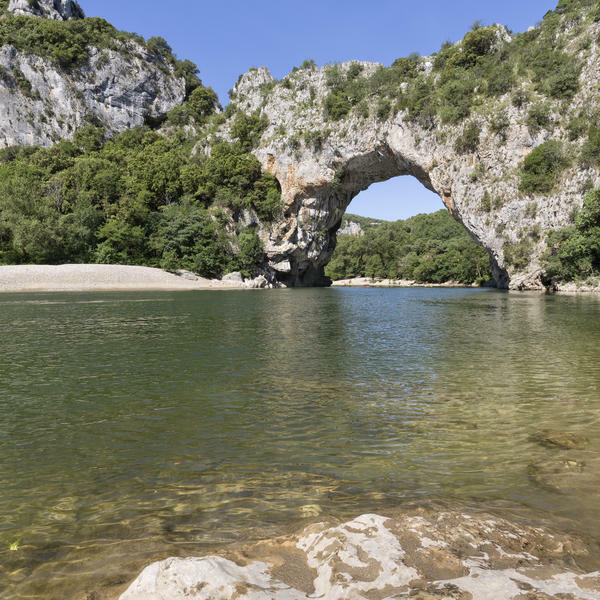 Sheer limestone cliffs plunge almost 1,000 feet to the river's blue waters, which elegantly snake their way through stupendous rock formations, culminating in a huge natural arch, the Pont d'Arc. 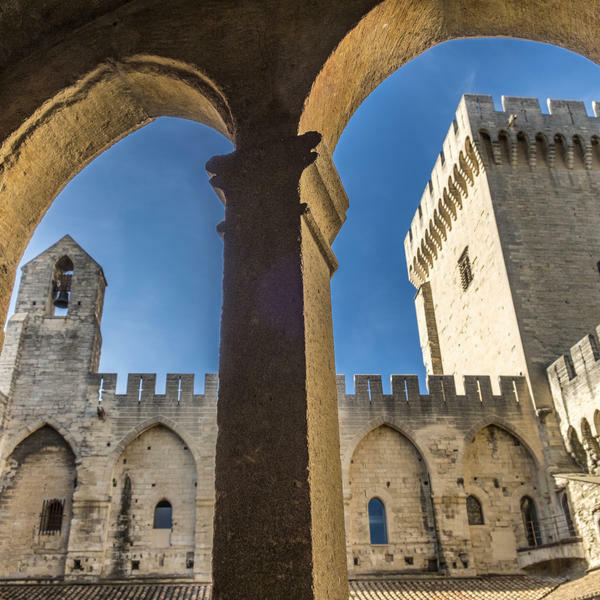 Caves, grottoes and natural sculptures create marvellous views at every turn before we return to the gentler slopes of the Rhône Valley, where our ship is moored in charming Viviers, a medieval town clustered around its 12th-century cathedral. We slip our mooring and proceed through the famous lock at Bollène, one of the deepest in France, as you relax over dinner. 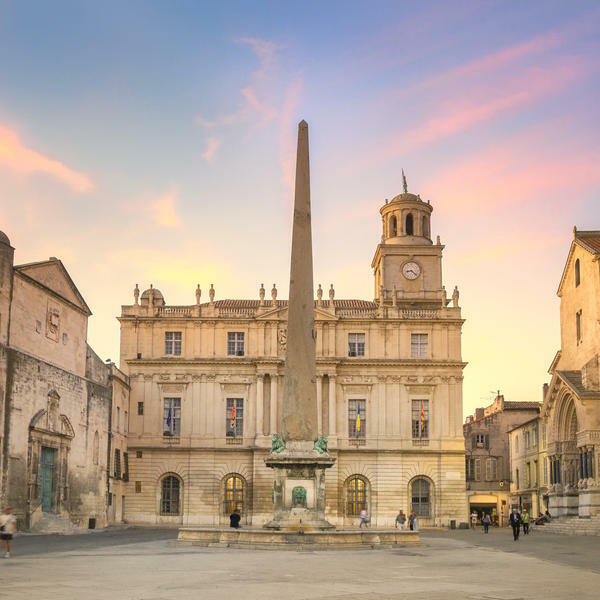 You awake under the azure skies of deepest Provence and amid the warm stone colours of Arles, many of whose historic monuments are UNESCO World Heritage Sites. Although small in size, it was the key stronghold on the Roman road to Spain, one of the empire's richest possessions. Seagoing ships could reach here and the city became a regional capital, briefly ruling over Gaul, Spain and Britain. 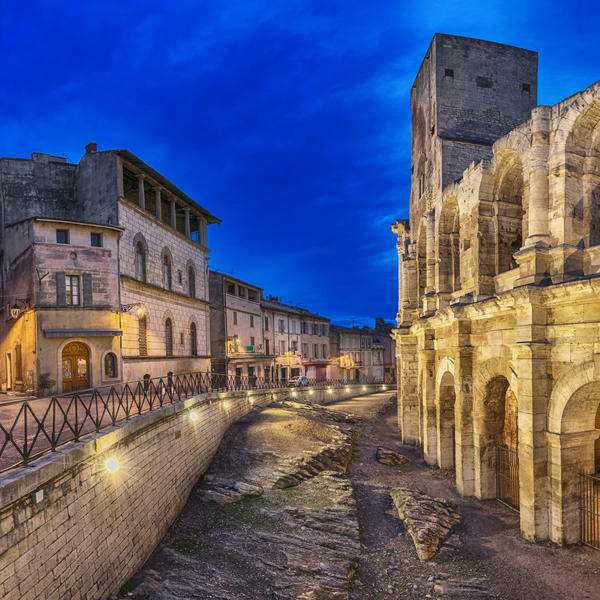 Our guided tour will help you appreciate the finer points of Arles's magnificent Roman remains, including the splendid amphitheatre, one of the best preserved in the world, the earlier theatre built during the reign of Augustus and the Alyscamps, the ancient necropolis with its extraordinary atmosphere. The disturbed but great genius of an artist Van Gogh lived in Arles for just over a year, from February 1888. It was his most prolific period and, inspired by Arles and the light and beauty of the Provençal countryside, he produced around 300 works, including The Night Café, The Sower and, of course, Sunflowers. After lunch we visit the amazing Pont du Gard Roman aqueduct, one of the wonders of the ancient world. No amount of fame can diminish the first sight of this 2,000-year-old structure, which was the highest bridge built in the Empire -the Romans themselves considered it the most important testimony to their greatness. Its statistics are staggering: over 900 feet long and almost 160 feet high, with its stones each weighing up to six tons. 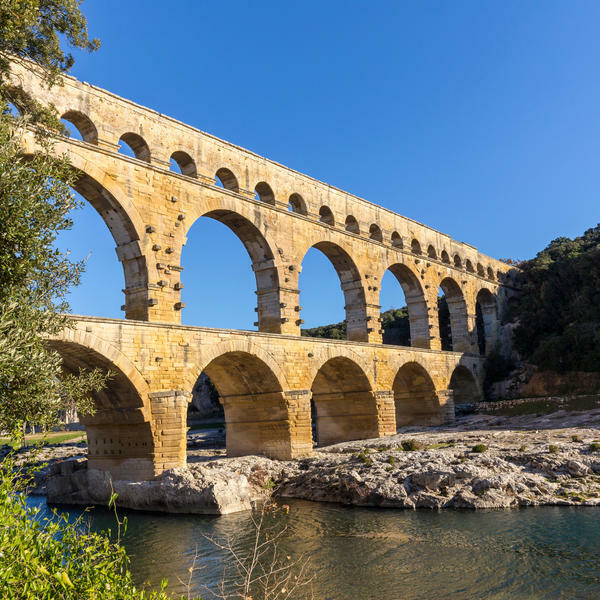 To put this in perspective, the span of the Pont du Gard is greater than the width of the River Thames at London Bridge - and no mortar was used in its construction! The situation is lovely too, with pine- and cypress-covered hills adding to the harmonious setting. 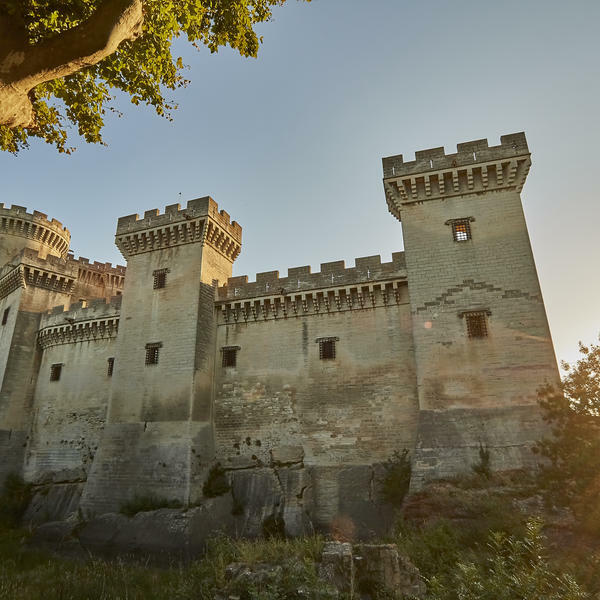 Rejoining the ship, we cruise along the Rhône and, during dinner, pass the imposing 15th-century castle at Tarascon standing guard on the river bank. 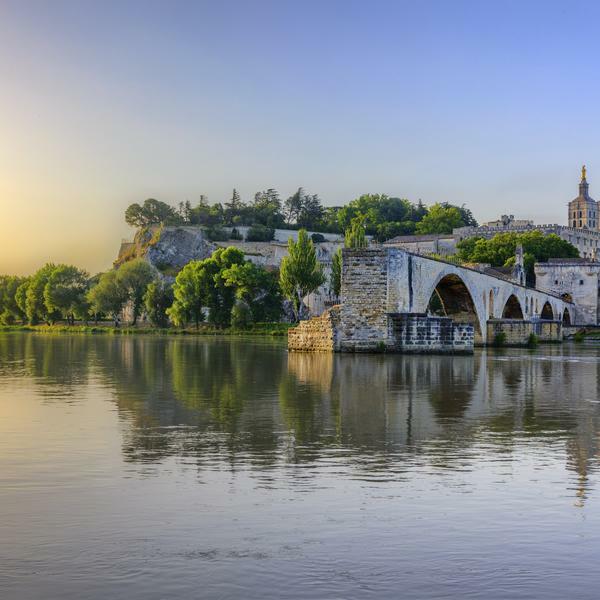 The light catching the red roofs of Avignon's majestic skyline is a sight to behold over breakfast, after which we embark on a guided tour of one of the most extraordinary and intriguing cities in France. 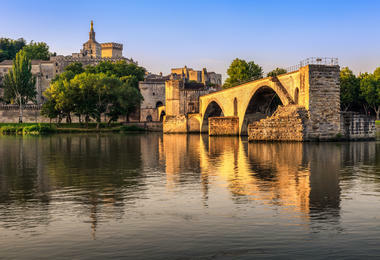 Avignon's destiny changed during the 14th century, when the Pope's court moved here to avoid strife in Rome. Igniting a century of prosperity, the Pontiff commissioned a host of ambitious building projects, and today the city is immaculately preserved, nestling behind its almost-intact 14th-century walls and boasting more remarkable monuments, superbly decorated buildings, churches, chapels and convents than you can possibly count. Most important is the stunning Popes' Palace, made up of two buildings that together form the largest Gothic palace in the world. With turrets, towers, parapets and other fortifications, its exterior resembles a mighty fortress, while the interior is a tour de force of medieval architecture and ornamentation, adorned with priceless frescoes, Gobelin tapestries and graceful sculptures. The ceremonial hall, chapels, cloisters and private apartments are all unmissable. But to truly embrace the feel of papal Avignon, imagine yourself here during the Middle Ages amid the Palace's rich furnishings and extravagant decoration, with cardinals, princes and ambassadors milling about its candle-lit halls and corridors, while in the streets below countless pilgrims eagerly anticipate benediction. This was Avignon's brief golden age, when it was truly the centre of Christendom. After lunch you're free to explore as you wish, perhaps visiting the nearby Petit Palais, the former home of the archbishops of Avignon, to cast a critical eye over the remarkable collection of over 300 paintings and sculptures from the Middle Ages and Renaissance, including works by Botticelli and Carpaccio. 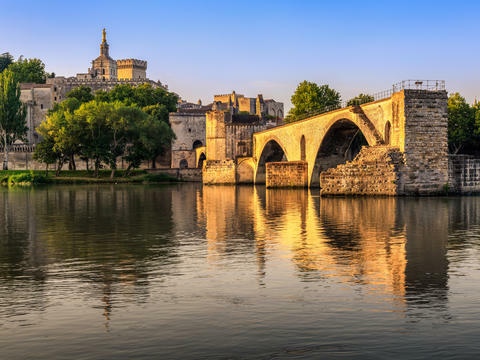 Or take a stroll on the iconic Pont d'Avignon, which, dramatically, ends halfway across the river, made famous by the melody we all recall from our first French lessons. It's our final afternoon so you may wish to do some shopping, or just find a quiet café in a shady Provençal square to watch the world go by. Perhaps though, return to the luxurious surroundings of our ship, finding a quiet spot to contemplate the many wondrous places you've seen and experienced over a quiet cup of tea! 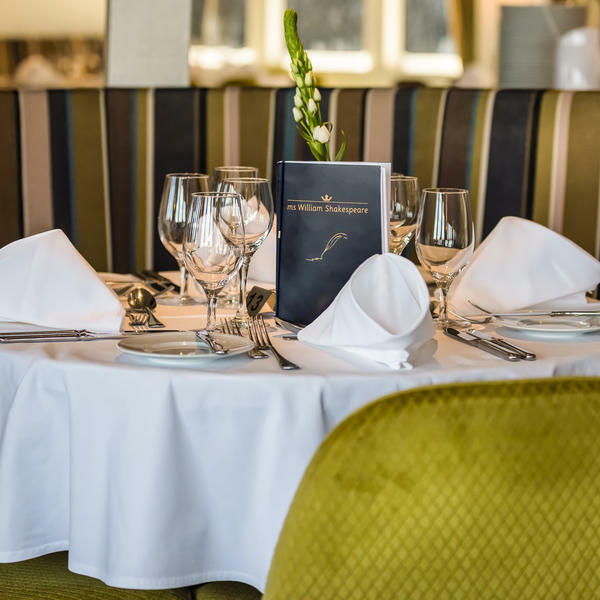 This evening we enjoy the sumptuous Captain's Dinner, with the chef serving specialities of the regions you've visited during your voyage of discovery. After breakfast you bid farewell to the ship and her dedicated crew, before transferring to the airport for your return flight or to Avignon for your high-speed rail journey home. Your journey through France will take place on one of the world’s finest river cruise ships, the MS William Shakespeare, a sleek and stylish member of Riviera’s luxury fleet. Furnished with sustainably sourced tropical hardwoods, it has highly polished brass and wrought iron fittings, thick pile high-quality carpets, luxuriously deep armchairs and facilities that will delight you, including a sun deck, lounge bar with panoramic views, first-class dining options, splash pool, putting green, wellness area with sauna and a hairdressing salon. 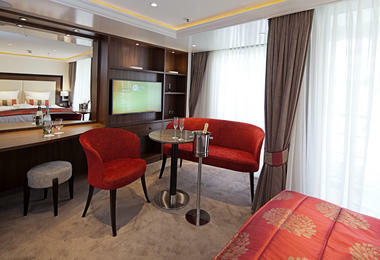 The ship's spacious layout, subtle and tasteful lighting, elegant décor, and opulent cabins are among the best you will find on any river cruise ship. It also carries just 140 passengers and has an excellent crew-to-guest ratio, ensuring high levels of service throughout the sailing. Established 34 years ago, Riviera Travel offers exceptional experiences at outstanding value for money. They were the highest-rated cruise operator in a 2017 survey by Which? magazine. To view Riviera Travel’s supplier’s terms and conditions click here.